The two artists in today’s chapter have the talent of drawing. 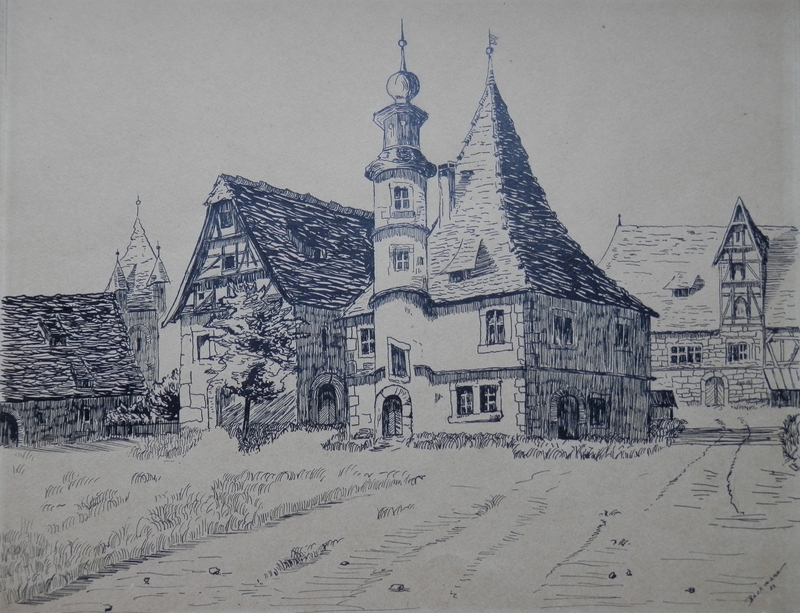 Whether the places which appear in their drawings are real, I do not know but both are unique and interesting for their own reasons. #EGreen has captured a ruin which has been overtaken by time and nature. The balcony appears to float in the air – what is left of the castle appears to be far too little to support the colonnades and weight of the balcony. It might suggest a lack of perspective by the artist but the remainder of the drawing shows a fine accuracy. So, likely this place does or did exist and what a place it would have been in its prime. The two people opposed by the ruin show the impressive size of the structure. The shading and detail in the arches and foliage is superb – even down to the sculpted faces at the top of the colonnades. Can you imagine Juliet leaning out of the balcony looking for Romeo – her beloved? Now to the city of #Leipzig at the turn of the 20th century. I love this building!! Firstly the building has a wonderfully tall pyramid hip roof and then there is a tower -round even- as well. Now that is what I call different. I do hope that this place still exists for it would be well worth a visit to see its architecture. I think the structure is too exact to be imaginary. The drawing is architecturally impressive. The other buildings are proper for the age. There was an artist in Leipzig at that time by the name of #MaxBeckmann (1884-1950). He was an up and coming artist prior to WWI and became very well known after his service in the war. War changed his artistic style- from academically correct depictions to a distortion of both figure and space. War gave him a unique perspective on life. Could this be by a young Max Beckmann? Two places which if they still exist would well be worth a visit. 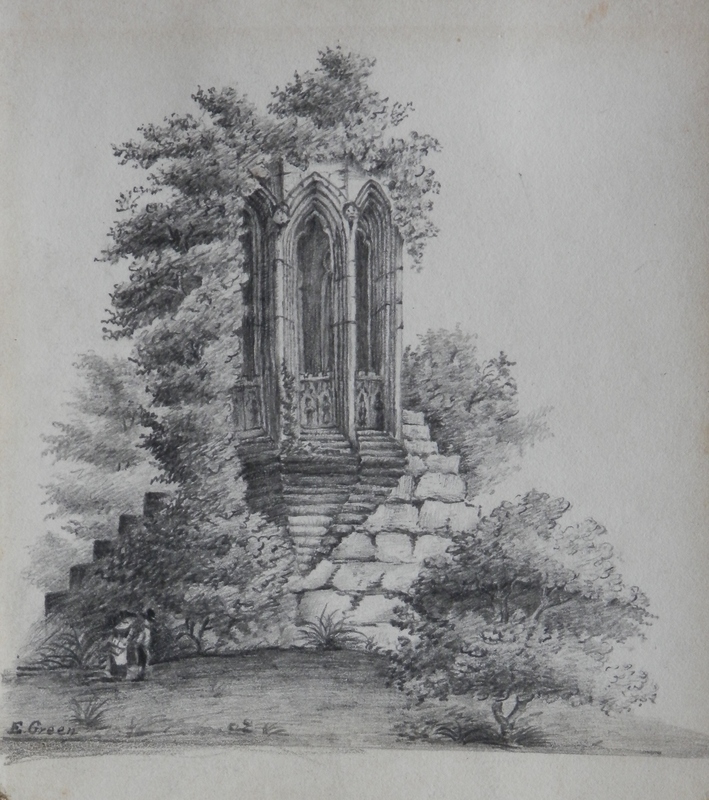 This entry was posted in Drawings and Sketches and tagged balcony, castle ruin, colonnade, foliage, Leipzig, pyramid hip roof, tower. Bookmark the permalink.